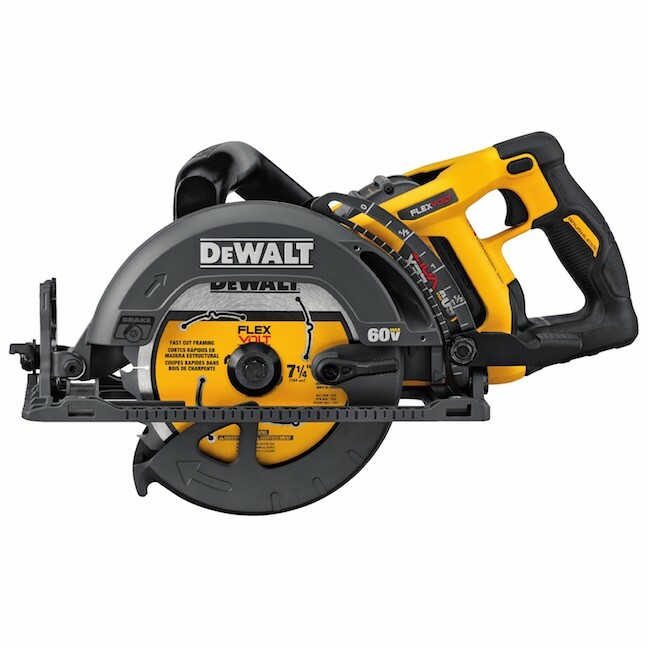 To optimize line of sight while cutting, DeWalt’s FlexVolt 60V Max 7 1/4-inch Worm Drive Style Saw is designed with its blade oriented to the left of the motor and the handle positioned at the rear of the saw. Ideal for use in various wood-cutting applications—OSB, plywood, hardwoods, dimensional lumber, flooring—the saw has a bevel capacity of 53 degrees with stops at 45 degrees and 22.5 degrees. 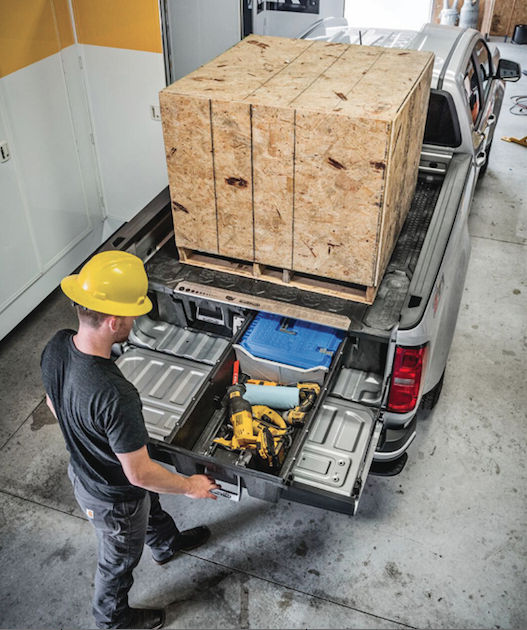 The storage and organization system for midsize trucks from Decked offers a 2,000-pound payload, 200-pound load capacity per drawer, and overall system weight of about 210 pounds. The system uses injection-molded HDPE with a galvanized steel subframe in-molded for strength and rigidity. Decked has improved the system with weatherproof ammo can storage bins and other enhanced weatherproofing features. 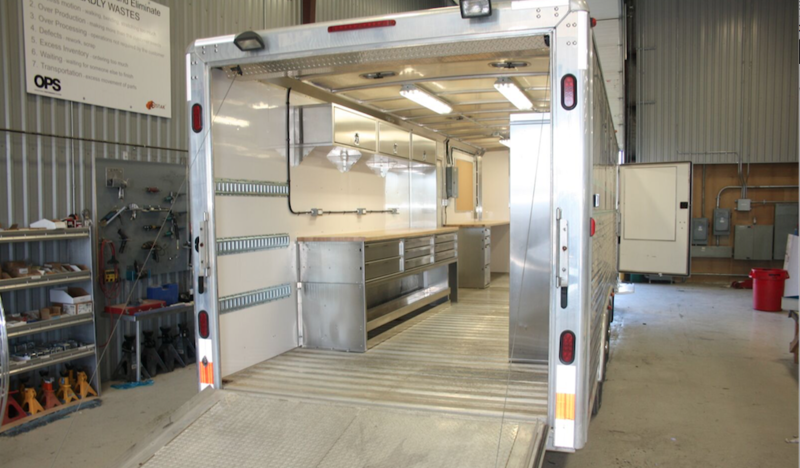 Featuring high-grade aluminum interiors, the Work-Ready Trailer from EZ Stak is lightweight, durable, and quiet in transit. 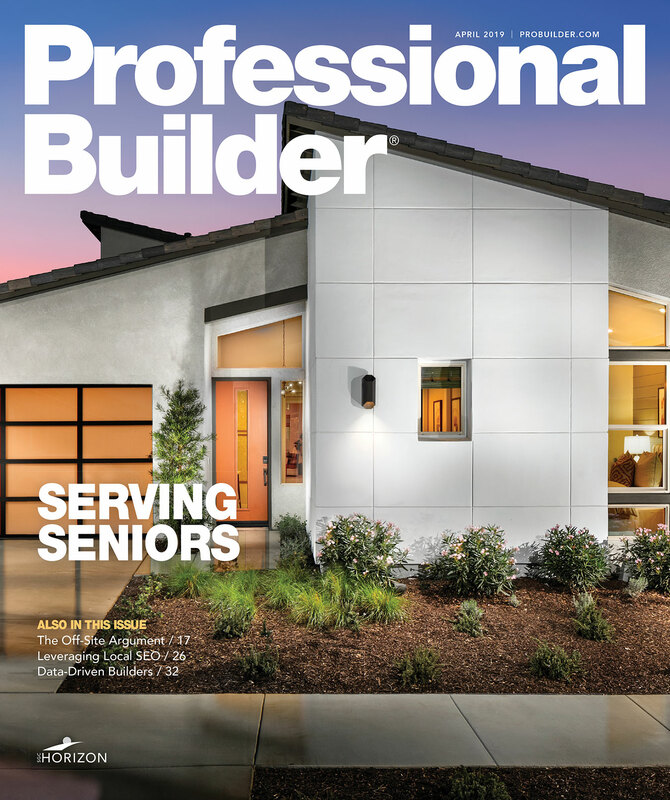 It has a power generator, storage cabinets, shelving, lockers, and a 6-foot-long counter. Free repair or replacement is offered for newly purchased products that become defective due to manufacturing, materials, or workmanship. iQ Power Tools’ iQ360XR 14-inch masonry saw features an integrated vacuum system, filter system, and dust containment designed to capture more than 99.5 percent of dust created when cutting masonry. The OSHA-compliant saw cuts brick, stone, and pavers up to 4 ½ inches high and 12 inches long, but was designed to be lightweight for easy transport using the iQSmartCart. 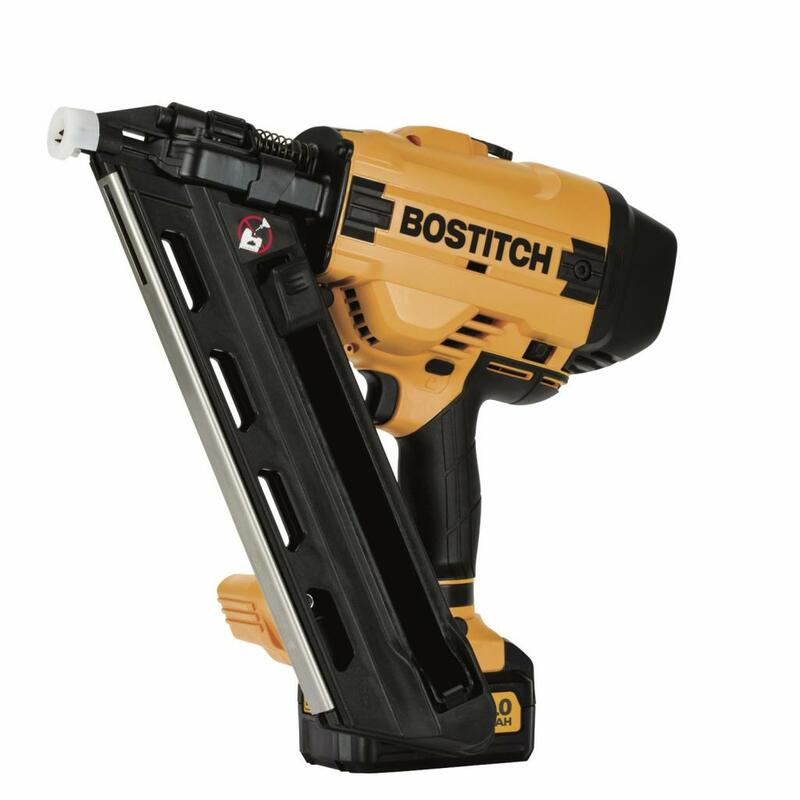 The 28 Degree Wire Weld Framing Nailer (BCF28WW) and the 30 Degree Paper Tape Framing Nailer (BCF30PT) are ideal for jobs such as fencing, deck building, sheathing, setting trusses, and stick framing. The nailers drive wire-weld framing nails (BCF28WWB) and paper-tape framing nails (BCF30PTB) from 2 inches to 3 ½ inches in length and 0.113 inches to 0.131 inches in diameter. The battery-powered nailers feature a two-speed switch that optimizes use for different fastener lengths, while LED lights indicate stalls. In 2009, the Ram brand separated from Dodge, becoming a stand-alone division with a distinct identity, offering heavy-duty trucks and a full range of light commercial vans. The Chassis Cab is available in a variety of colors and trims in the Tradesman 3500, 4500, and 5500 lines for a total of 12 vehicles. Chassis Cabs feature a commercial-grade 6.4L HEMI V-8 engine, left- or right-side power take-off capability, and a class-exclusive 6.7L Cummins Turbo Diesel I6 engine with Smart Diesel exhaust brake system.